“Cannabis flowers” has a very broad definition. As time wore on, the concept focused on a lot of different things, from plant stages to the product itself; however, semantics are just the tip of the iceberg. While a basic understanding of terminology is always good, it is what is inside these flowers that truly matters. Many people make the mistake of lumping their cannabis into three different strains. Sativa, indica, and hybrid are THC-rich plants that – according to many cannabis experts – provide radically different effects. Nothing could be further from the truth. Having a firm grasp on the concept of cannabis flowers and their effects guarantees the right medical or recreational experience. Super Silver Haze is an award-winning sativa dominant hybrid. Beautiful, smaller forest green buds with plenty of orange and brown tones on the leaves. Grape God Sativa dominant hybrid that is great for chilling out and thinking about stuff. A hint of grape, a moderate THC level, and sativa focus. Blue God is a pure indica that mixes God Bud with a Blueberry indica. It provides full body relaxation with a pleasant euphoria. Again, cannabis flowers refer to a multitude of things. For instance, growers refer to “flowering” as the process in which a male marijuana plant pollinates a female, ultimately creating a seed. The “flowering stage” is another occurrence of the term, which refers to the final six to 10 weeks of growth (a.k.a. “blooming”). However, for a consumer, “flowers” refer to the final product – the cured buds sold in dispensaries or through online licensed medical distributors. The reason this occurred is due to the diverse number of products available. In order to specify the desired product, buyers use the term “flower” when they wish to purchase dry herb, as opposed to edibles or concentrates. Budtenders and online resources alike split cannabis flowers into strains. They claim (incorrectly) that each variant provides a specific type of medical and recreational effect. With the exception of hemp (covered below), THC strains like indica, sativa, and hybrids are essentially the same – aside from physical and genetic differences. First, let us take a look at what the majority of the industry believes, then isolate fact from fiction. Indica strains are small, making them ideal for indoor growth; however, they tend to be lower in THC and higher in the non-psychoactive cannabinoid, CBD. Recreational and medical users alike should choose this strain if they want to feel relaxed, rather than euphoric. This strain is also effective at curbing nausea, eliminating insomnia, stimulating appetite and reducing acute pain. Sativa is the polar opposite of indica in virtually every way. Not only is it physically taller, but it is also exponentially higher in THC and quite low in CBD. Those looking to experience a powerful, euphoric high should choose THC capsules sourced from sativa. Sativa users choose this type of cannabis when they want a sudden burst of energy and creativity. It is particularly helpful when working on projects, exercising or socializing. Medically, sativa is highly effective against anxiety, depression and generalized chronic pain. As the name implies, hybrids are a blend of indica and sativa. Realistically, sativa or indica dominant strains often have overlapping effects. Cross-cultivation and modification mean there is no “purebred” sativa or indica. Hybrids, however, typically have a healthy percentage of both in their bloodline. These allow growers to create different strains with all kinds of potential effects. Keep in mind, this also makes hybrids a bit unpredictable to the untrained eye. Pay close attention to the sativa/indica ratio (if provided). Again, also read the terpene information for a more accurate way to expect the effects. Hemp is industrial cannabis used in manufacturing. This variant is naturally high in CBD (cannabidiol), with only trace amounts of naturally-occurring THC. Consequently, it does not affect cognitive or motor skills. Users looking to experience the high of THC should not use CBD. At this point, you may be a bit confused. How can anyone make an informed purchase if sativa, indica and hybrid are essentially the same? To answer this, we need to see where this myth originated. Like many misconceptions, the confusion about strains began quite some time ago, in the 18th century. Initially, they were meant to simply classify different plants – and it should have remained that way. “Cannabis sativa” was a term coined by Carl Linneaus. Unlike today, he used it to describe industrial hemp from Europe and western Eurasia. In reality, Linneaus discovered the source of the sativa/indica lineage, called cannabis sativa L.
The euphoria-inducing sativa and indica we know today are actually subgroups of sativa L.
“Indica” was coined by, mainly because it was discovered in India. Its ability to produce the “high” from THC set it apart. Sativa and indica are marketed as separate strains with unique properties; however, the truth is that THC-rich plants are usually direct descendants of the indica variety. 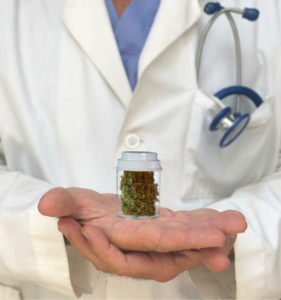 Dr. Ethan Russo is a world-renowned neurologist who is famous for his research on cannabis. “The way that the sativa and indica labels are utilized in commerce is nonsense,” Russo says. Dr. Russo further explains that the recreational and medical effects have nothing to do with the plant’s size or shape. However, if the long-established concept of strains does not serve as an accurate guide, how can consumers make informed decisions? The key lies in cannabinoids and terpenes. Depending on their source, cannabis flowers contain two critical compounds that determine their effects. Understanding what these are will ensure that customers experience the effects that they want or need. Cannabinoids require little introduction. Although there are many different kinds, the relevant ones are cannabidiol (CBD) and Δ9-tetrahydrocannabinol (THC). 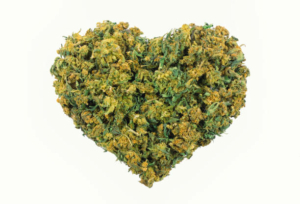 THC is responsible for the “high” people seek for recreational euphoria or to relieve a variety of medical symptoms. Different cannabis flowers contain varying amounts of THC, with the strongest reaching a little over 30%. Cannabidiol (CBD) has a great deal of medical value, but it does not have the cognitive effects associated with THC. CBD users can take as much CBD as they want and function without any kind of impairment. This makes it an excellent choice for those who need to drive, operate machinery or simply work with a clear head. However, CBD has another important function. It acts as an antagonist to THC, meaning it counters the impairing effects. Medical users often purchase 50/50 THC/CBD cannabis because the THC provides a mild, brief high before the CBD takes over. CBD-rich cannabis flowers are available with a prescription, extracted from marijuana plants. Alternately, those without a medical card where recreational cannabis is illegal can still obtain CBD products; however, these come from industrial hemp, a completely legal source that allows companies to market CBD extracts and edibles as health supplements. These supplements are legal in all states, making CBD more accessible than ever. If you have no medical card and live in Canada, you can still buy from the best online cannabis shop and other online dispensaries, because the authorities are not enforcing the law. Effective as an analgesic, sedative, anti-cancer, antibiotic ant anti-inflammatory compound. Myrcene’s sedative properties provide a relaxing effect commonly attributed to indica-based strains. Pure Kush is a popular indica strain known for its high myrcene content. The terpene generates a strong “skunky” aroma to this product. Reputably, its effects involve a moderate head high, followed by a powerful relaxing feeling on the body. A household name among cannabis enthusiasts, White Widow is another strain containing a large concentration of myrcene. A hybrid with sativa-like properties, White Widow offers a more energetic experience, punctuated by euphoria and creativity. A myrcene-rich hybrid with roots in Northern India, the effects are known to involve a gradual relaxation that starts in the lower areas of the body and slowly creeps upward. Its relaxing properties are closer to that of an indica. Pinene is known for its tendency to promote alertness and even fight short-term memory loss from THC intake. On its own, pinene’s effects resemble those of sativa. Jack Herer is known to be one of the most pinene-rich strains on the market. Consequently, this allows pinene’s sativa properties to truly shine. Users of this strain report an upbeat, energetic and euphoric effect. Although a hybrid, Dutch Treat behaves like sativa – partially due to its pinene content. As a result, euphoria is its main effect, but the indica component also offers a slight hint of laziness and relaxation. While Island Sweet Skunk is a sativa strain, the pinene content is powerful enough to make it behave like an indica. Its euphoric, creative and energetic properties rival those of Jack Herer. Effective as an anti-inflammatory, antidepressant, analgesic, anti-anxiety, cancer inhibitor. This terpene even reduces alcohol cravings in addicts. B-Caryophyllene behaves like a sativa. Its uplifting, energetic properties help spark creativity and awareness. Meanwhile, it also helps stimulate appetite. OG Kush may be a hybrid, but its B-Caryophyllene content definitely gives it a sativa-like effect. Users particularly like it due to its ability to relieve stress while offering a stimulating high that will not cause major sedation. Bubba Kush is an indica strain, so it offers strong sedative effects that are not characteristic of B-Caryophyllene; however, the terpene’s effects do come through, offering a strong amount of happiness and euphoria. Known for its pungent aroma and potency, Chemdawg is a hybrid strain exhibiting mostly sativa properties with a hint of indica. Like sativa, Chemdawg generates a very uplifting, creative high that enhances mood; however, its indica nature breaks through in the form of a powerful sense of relaxation. Terpinolene is best known for its indica-like sedative properties. Pineapple Jack is a sativa strain; however, although the category is inconsistent with terpinolene, the terpene’s effects are apparent. While Pineapple Jack is mostly uplifting, the terpinolene contained within does offer a degree of relaxation and sedation. J1 (a.k.a. “Jack One”) is a hybrid exhibiting the more uplifting, energetic effects of sativa. Although it is primarily known for its effectiveness as a mood enhancer, its above average terpinolene content offers a sense of relaxation. Lemon Diesel is a hybrid strain that owes its citrusy flavor to terpinolene. Although uplifting, it also displays relaxing effects that terpinolene is known to provide. Citrusy flavor, most notably lemon or other sour tropical fruits. Coincidentally, the terpene’s name starts with “limon,” which is Spanish for “lemon”. Limonene’s high is consistent with sativa, offering a burst of energy rather than sedation. Super Lemon Haze is anything but hazy. Predominantly sativa, the large amount of limonene creates a zesty, lemony flavor while offering an energetic, mood-enhancing high. While this sativa-dominant hybrid is not comparable to a nuclear disaster, it certainly hits with a bang. Users compare its flavor to a lime dessert, thanks mainly due to limonene. The terpene also provides an excellent, energetic high that stimulates conversation; however, its hybrid nature does trigger some indica-based relaxation. Tangie gets its name from the sativa strain’s tangerine-like aroma. As is typical of a limonene-rich plant – especially a sativa – Tangie’s main attractions are its uplifting, happiness-inducing high. Nonetheless, it does still offer some slight relaxation. Shown to be effective against epilepsy. Has antibacterial, antidepressant and anti-anxiety properties. It is even being explored as a potential treatment for Alzheimer’s disease. Linalool’s many medical benefits stem from its sedative properties. This makes it behave like an indica strain. Amnesia Haze is a predominantly sativa strain, exhibiting uplifting properties; however, the linalool content does offer a degree of relaxation. This is what makes it effective against anxiety (something best suited for indica), while still causing a burst of energy. Not to be confused with the aromatic plant, Lavender is an indica strain. Its name derives partially from its floral aroma, in addition to the purple color found on the tips of its leaves. As expected, this flower is best known for its relaxing effects, punctuated by slightly uplifting euphoria. Another indica, LA Confidential is unique in many respects. It does an effective job at combining powerful cognitive effects with a sense of relaxation. Factor in the mild aroma and it is obvious why this strain has been so successful. Terpineol behaves like an indica, with powerful sedative properties. OG Kush is a hybrid that does an excellent job of balancing its indica and sativa origins. While offering an energetic high, its primary effects are consistent with terpineol’s sedative nature. This makes it a common choice for those looking to reduce stress. Although White Widow is best known for its uplifting high that promotes creativity and sparks energy, this hybrid does offer some secondary relaxing effects from terpineol. GSC (a.k.a. “Girl Scout Cookies”) is an incredibly potent, award-winning hybrid strain. Aside from its powerful relaxing effects, users report strong euphoria mixed with an almost psychedelic experience. This strain is not for the faint of heart. Bisabolol (or a-bisabolol) is known for its powerful floral fragrance, responsible for the strong scent in chamomile flowers and other plants. Bisabolol is indica-like in its effects. Known for its relaxing properties, this terpene is often overshadowed by others in the plant, so its effects may not be as obvious. With a CBD level 20 times higher than its THC content, Harle-Tsu is a hybrid with very powerful relaxing effects. While it may not create the mind-clouding inebriation commonly associated with indica strains, it is nonetheless an excellent choice for those who need to relieve stress and catch up on sleep. While unrelated to the famous band, ACDC is still a formidable source of bisabolol. Although it is sativa-dominant and high in CBD, it still offers excellent relaxing properties and other medical benefits. Although an indica strain, Master Kush breaks the rules by offering typical sedative effects of its parent plant with an uplifting, sativa-like experience. Guaiol is known for its “earthy” flavor – a mix of wood and floral aromas. Used for hundreds of years to fight bacteria and inflammation. Little else is known about this terpene, as scientific research is sparse. Unlike other terpenes – which are oils – guaiol is known as a “sesquiterpenoid alcohol”. Aside from providing a unique aroma, little else is known about the substance or its recreational effects; however, regardless of the strain, relaxation appears to be a common denominator for guaiol-rich flowers, suggesting indica-based properties. Blue Kush is a sativa-dominant hybrid. Guaiol’s flavor is apparent in the earthy aroma, mixed with berry and citrus. Despite its sativa roots, Blue Kush’s primary effect is relaxation; however, this is the only indica-like characteristic. Liberty Haze is an interesting hybrid, as its sativa and indica properties are seemingly evenly split. Like indica, it is relaxing and sedative; however, the strain also sparks energy and creativity in a distinct sativa fashion. Guaiol’s flavor definitely takes center stage in Chocolope. This sativa-dominant strain has the classic earthy flavor of coffee with a hint of sweetness. It behaves mostly like its parent plant, but with a hint of indica relaxation. 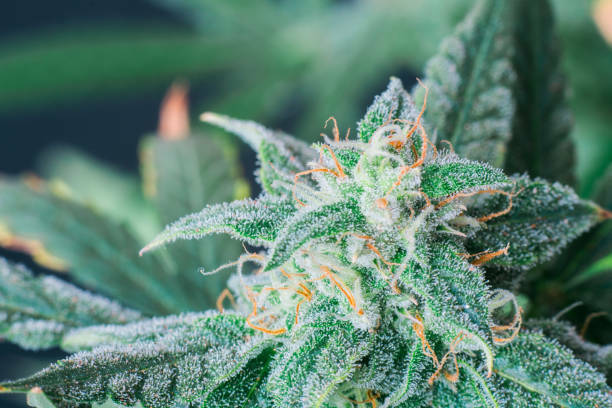 Many people depend on strains to guide their decisions when purchasing cannabis flowers; however, it is clear that this will not predict the product’s effects. The question then is whether strains matter at all anymore. The answer is “yes” or “no” depending on the situation. While consumers should disregard strains, growers definitely must not. Plants will still physically exhibit indica or sativa characteristics, and these are essential for proper growth. Aside from their size differences, sativa and indica flourish under different conditions. But unless someone plans to grow their own cannabis flowers, the only thing that matters are terpenes and cannabinoids. 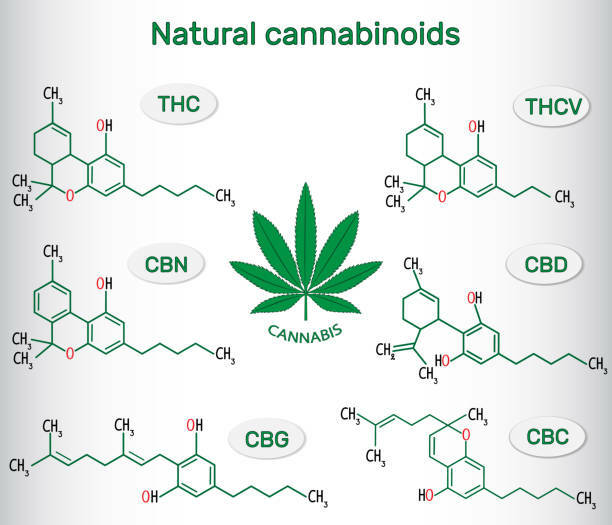 Cannabinoids are relatively easy to understand. A product high in THC and low in CBD will result in a high that impairs mental and motor skills. High CBD and low THC, on the other hand, will not affect these things. A balanced THC/CBD strain typically leads to a short, moderate high, which makes it appealing to medical users who want some intoxicating properties that are not too intense. Although cannabinoids form the basis for guiding a purchase, terpenes are what make up the finer details. Everything from specific experiences to medical benefits rely solely on terpenes. The bottom line is that users should use cannabinoid content as a basic guideline, while terpenes help narrow down its potential effects to suit individual needs. Strains are essentially a moot point.